It sometimes feels like every cookbook ever written can be found weighing down my mother’s bookshelves, a fair few of them are written by Nigel Slater. Every so often they are removed and the pictures admired, or the ingredients read out like a poem, the tasty treats a mere promise of what could be produced in the kitchen. Like most mothers, mine doesn’t need to follow a recipe, she’s an excellent cook, with just the right inkling of what should be added next to the mix. For Nigel Slater it was just one cookbook, and a close bond with his own mother (even if she did have a habit of burning the toast) that inspired him to become a chef. 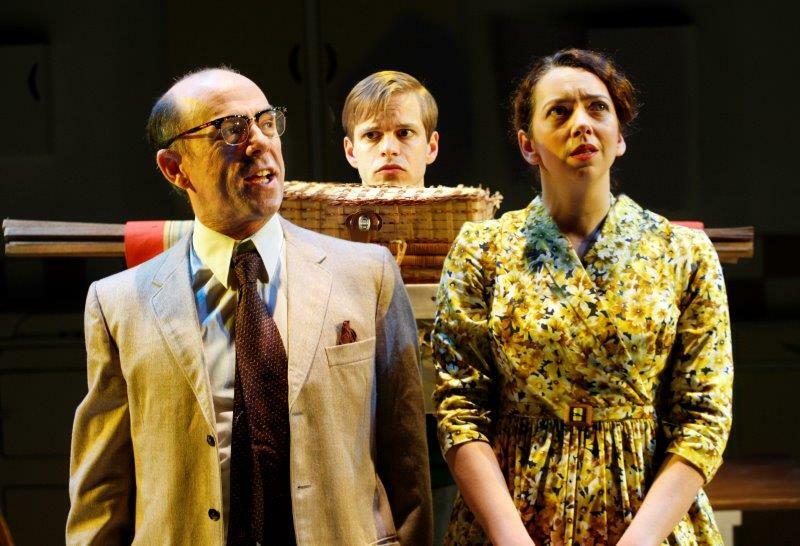 His autobiography, Toast: The Story of a Boy’s Hunger has already been adapted to a screenplay, and now following a run at the Lowry and Edinburgh’s Traverse Theatre, the stage adaptation of Toast makes it to London’s The Other Palace. Writer, Henry Filloux-Bennett, has taken Slater’s collection of memories and moulded them in to a more linear storyline, that continually whets your appetite for what’s to come next. Toast follows the life of Nigel Slater from age nine through seventeen. A difficult period at the best of times, but the young Slater also has to adapt to a changing family life, as his adoring mother passes away, and his father remarries. Taking an interest in cooking is initially frowned upon, at a time when he’s already trying to understand his sexuality, and the narrative demonstrates that everyone has their own struggles to contend with. 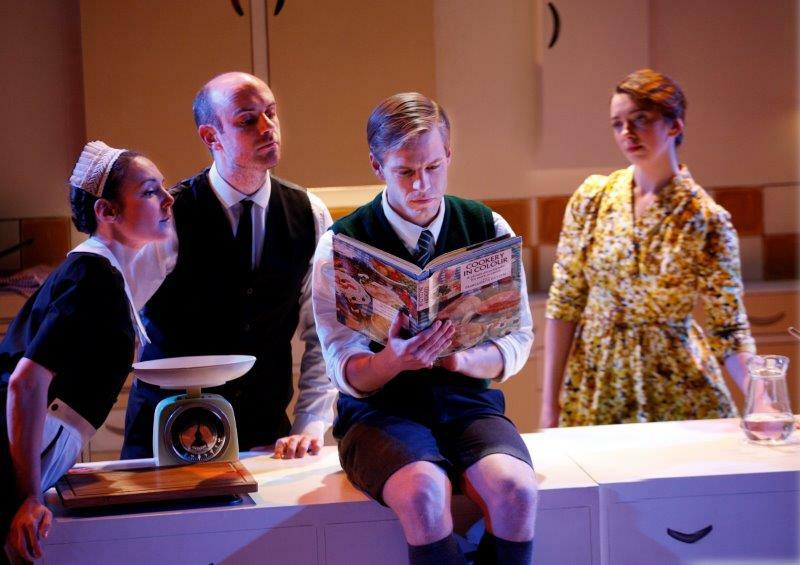 The story is relayed to the audience in the first person, the young Nigel in knee high socks talks to us from the kitchen of the family home, the trusty range cooker ever present. 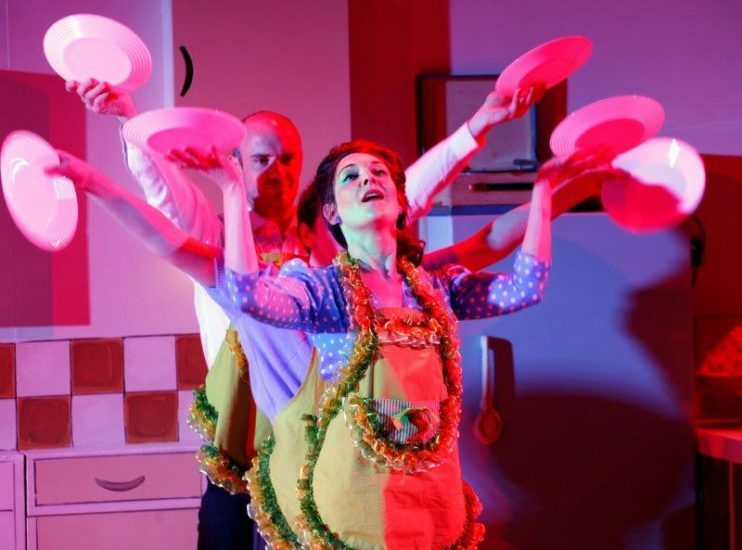 Libbie Watson’s design sees counter tops roll on and off stage, usually accompanied by music and movement playing an important role, often used to denote changes in time periods, director and choreographer Jonnie Riordan uses this to infuse the production with a sense of joy, in a production that utilises comedy well. 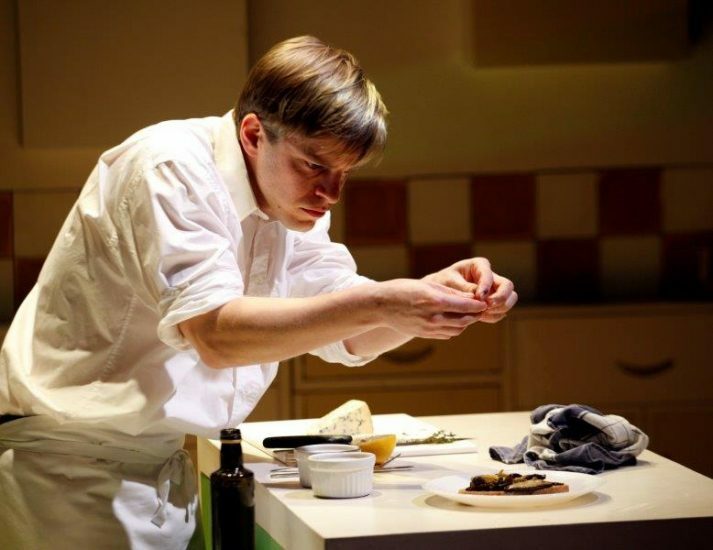 Unsurprisingly, food is a critical element in Toast, so much so that the production has a ‘Food Director’ in the form of James Thompson, who has worked with Slater for over ten years. I’m certain I could smell slightly burnt toast in The Other Palace’s foyer, but that’s not the only way that food is incorporated to the performance, but I won’t spoil the experience for those yet to enjoy it. 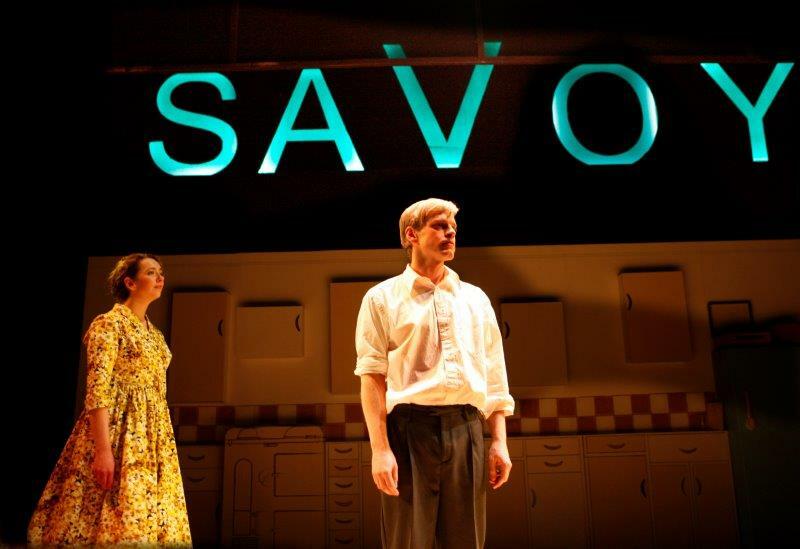 Giles Cooper gives a rich and distinctive performance as Slater, he’s the only member of the talented and versatile cast to take on just one character, and delivers most of the story, the result is that the audience are drawn in, totally enraptured in the unfolding memories. Cooper ages the character well, and you can see the gradual changes taking place as the play bubbles away on a low heat. 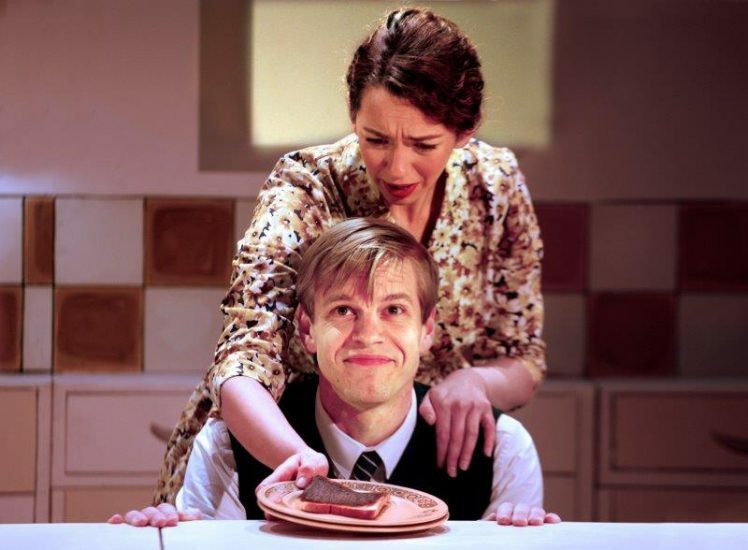 Toast is presented beautifully and garnished with a mothers love, for the stage adaptation, the book’s subtitle (The Story of a Boys Hunger) has been omitted, but make no mistake, this inspirational tale chronicles the protagonists desire to succeed, no matter how difficult the recipe for success may have been.